Students with disabilities from Hereward College in Coventry, England are using 3D printing to create customized equipment. Experts in 3D printing and adaptive systems from the University of Warwick are helping students with physical restrictions to use 3D printed equipment to solve everyday problems such as eating and drinking. The 3D printing project is called “Engaging Young People with Assistive Technology and began in September, 2013. The project has received funding from the University of Warwick and two university departments are delivering the projects: WMG, which is experienced in additive manufacturing, and the Department of Computer Sciences, which designs software and systems around individuals’ needs. The departments are working in conjunction with the Access Research and Development Department at Hereward College. 3D Systems has donated a 3D printer to the college. University of Warwick Pro-Vice-Chancellor (Teaching and Learning) Professor Christina Hughes said, “Many people with disabilities have a variety of unmet needs where an off-the-shelf solution is not good enough. “At Warwick we have deep technical knowledge in computer sciences and product manufacturing but it's the students themselves who have knowledge of disability and the challenges they and their friends face every day. “By bringing together these two different types of expertise, we are seeing fantastic results as the students are able to solve some of these problems through this technology. “This group of learners are currently under-represented in science and technology subjects at degree level, so we also hope that by inspiring them to create their own products, they might consider studying one of the STEM subjects at university,” Hughes said. 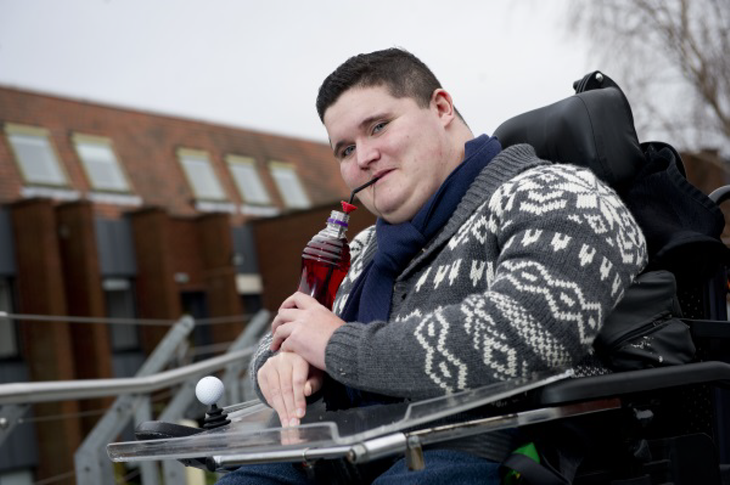 Ollie Baskeran, a student from Leatherhead in Surrey, has created a bespoke straw holder that allows him to enjoy beverages from a variety of bottles. Baskeran has Muscular Dystrophy and the 3D printed straw holder is shaped like a cork with a hole in the middle. This prevents the straw from moving around and keeps it in one place. Baskeran said, “I have limited strength and need to use a straw, but when you lift and tip the bottle at an angle, the straw moves around, making drinking difficult. I wanted to design something that would hold the straw in place and this was my brainwave. To be honest, I'm quite surprised nobody has come up with the idea before. The straw-holder just makes it ten times easier to enjoy a drink. “We took less than an hour to get all the measurements we needed and to create the design, which then took about 20 minutes to print.